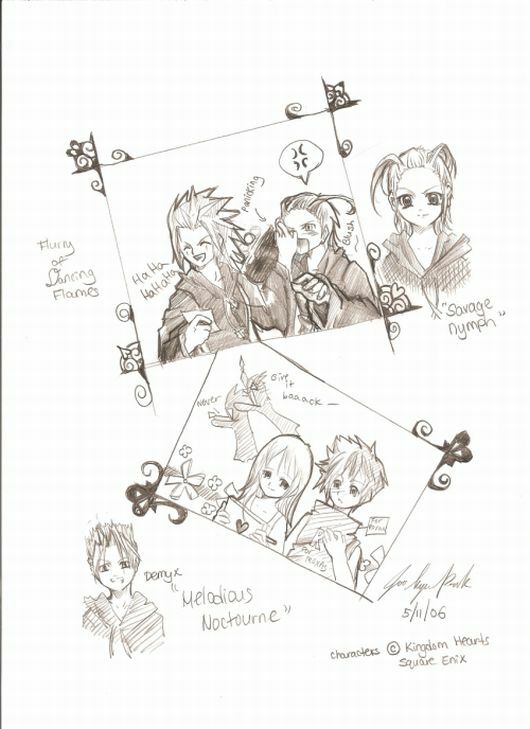 omg larxene and axel ...they are look so cute!! Demyx is a goof cute. This is really good! Demyx is so adorable ^_^ Do you take requests? But, I don't quite understand it. Do you mind explaining what is going on? BTW, who's next to Namine in the bottom thingy.